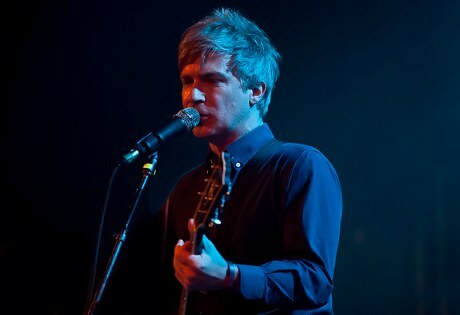 Mathew Caws, Nada Surf’s lead singer, greets his audience as warmly as old friends. 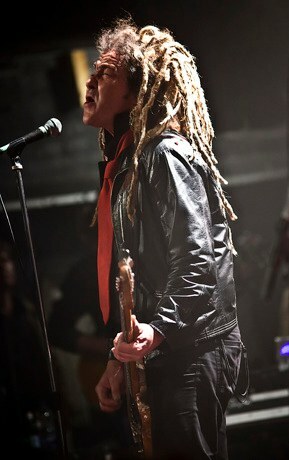 Mathew Caws, Nada Surf’s lead singer, greets his audience as warmly as old friends. Creating an immediate sense of intimacy in Toronto’s Opera House, a local rock institution with a high brow name, Caws brought a relaxed, warm energy and an easy confidence to the room, as the band blended their newer material with their '90s hits seamlessly, building their energy to the rousing, anthemic new single “When I Was Young”. The touchstone of youth, nostalgia and longing continued through another new song “Teenage Dreams” (a reminder that you are never too old for them). 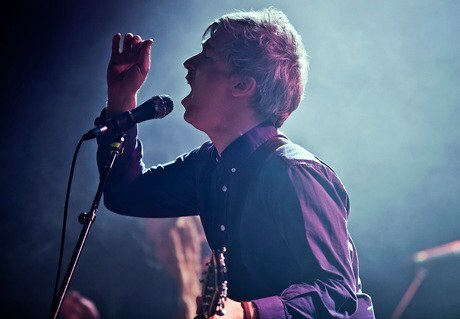 Nada Surf is a band who proudly pursues those ideals and lends a voice of authority to the subject. From early nineties alt rock, including the earworm hit “Popular”, to taking survival jobs, to their reemergence under their own steam with their own label, Nada Surf walks the walk of their grand musical ideals. Their undiminished love of music is obvious and notable -- they bring an authenticity and ability to connect to their audience that has become almost extinct in older bands and somehow impossible for many young bands behind their ironic distance and their screens who refuse to play their hit (if they are lucky enough to have one). Rather, Nada Surf rewarded their enthusiastic audience in kind, with a 24 song set, including both a regular encore and an off-stage/acoustic encore. 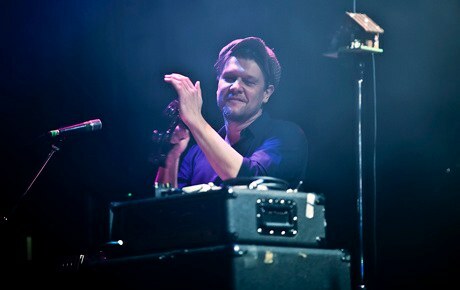 Caws made time for audience participation and talked about his experience at 17 working in a New York City record store as his “favorite job ever”, and turned the microphone to the crowd during “Weightless”. 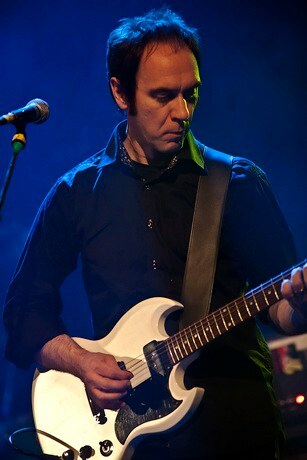 The permanent line up of Caws, Daniel Orca, and Ira Elliot were joined by Martin Wenk (Calexico) and Doug Gillard of Guided by Voices. The band enjoyed an easy harmony, and seemed to genuinely enjoy playing together, a benefit of seeing a tour at its halfway point. 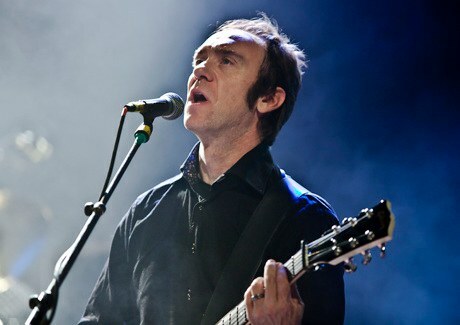 Midway through their current tour in support of their new album The Stars Are Indifferent to Astronomy the band has hit an impressive number of cities in recent months as varied as London, Paris, and New York. 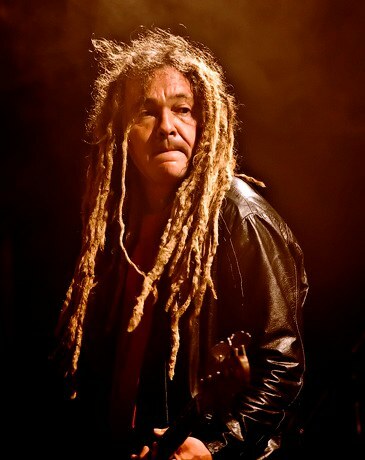 On their current, mostly American tour, they will next play a number of festivals and shows in Brazil and Argentina before returning to US cities beginning May 17th in Philadelphia. 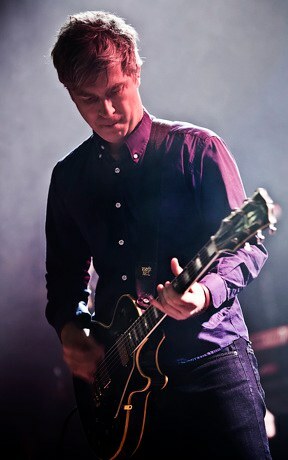 View higher resolution images of Nada Surf over at PopMatters' Facebook page!